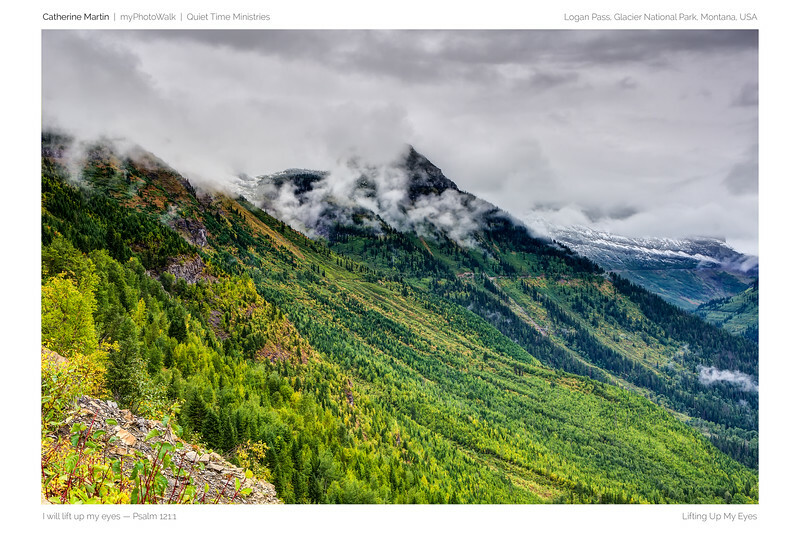 SmugMug Tech Specs: Devotional photography images are available only with a white matte devotional border with Catherine Martin | myPhotoWalk | Quiet Time Ministries signature, location, devotional quote, and image title. Devotional Photography Style: Imagine you are in an art gallery perhaps ten feet from a painting. The broad strokes of the brush are easily appreciated and provide an immediate spiritual effect. Colors, texture, highlights, and more. You’re intrigued. You step closer — say only a foot or two away to inspect the details of the artist. Something new has caught your eye — a white matte border of devotional text specifically selected by the artist as a perfect companion to the art itself. A Scripture verse, a classic devotional quote, an inspirational quote from one of Catherine Martin’s many books — in harmony with the photographic image producing a rich emotional response of devotion to God. This is Devotional Photography. About Custom Prints: After you select your photo, click the green Buy Photos button, then Wall Art or Paper Prints. Wall Art includes Stretched Canvas, Flat Mounted Canvas, and Float Mounted Metal Print. Paper Prints includes Standard and Custom Sizes. We have opted only for sizes that allow the correct aspect ratio of the entire devotional image including the devotional matte border. Click Add To Cart, then View Cart. Although you are given the option to crop and reposition the image so the devotional matte border is eliminated altogether, we recommend that you do not adjust the Crop for the best results for all Custom Print items. This will display the myPhotoWalk Devotional Photography image as it was intended by the artist. About Cards: After you select your photo, click the green Buy Photos button, then Create A Card. We offer a choice of 4x8 Flat and 5x7 Folded Cards. We recommend choosing a horizontal orientation card style to match the aspect ratio of the original devotional photography image. This will allow the entire devotional photography matte border to be visible. Once you select card type, you drag your desired image onto the card face. Click the card face again to reveal the popup controls for zoom and positioning (crop not available on cards). Depending on the style and size of the card, you must zoom and position the image so as not to cut off portions of the devotional matte border. You may elect to zoom and reposition the image so the devotional matte border is eliminated altogether. Choose quantity. Click Add To Cart. About Mugs: After you select your photo, click the green Buy Photos button, then This Photo, then Keepsakes. Choose either the 11oz White Mug or 15oz White Mug. The image with suggested crop marks shows up on screen. Click and drag inside the frame to move the image, or drag the corner crop marks to select a smaller image. We recommend you preserve the entire devotional matte border, but you may elect to crop out the entire border revealing only the image. The 11oz White Mug will automatically reveal the entire image. The 15oz White Mug will show a pillar box crop cutting off the sides and some letters of the devotional border. With the 15oz White Mug, you will get a chance to eliminate the crop before Checkout so that the entire image and border are present on the mug. Click Add To Cart, then View Cart. For the 11oz White Mug, please choose Crop: None for the best results. For the 15oz White Mug, you must choose Crop: None so that the entire image will be visible on the mug. The devotional border is designed for full size custom prints, so the text on a mug is tiny but readable and is a signature of devotion. The photo on the mug typically faces you while drinking if you're holding the mug in your right hand. If you'd like your photo to wrap around the mug, or you'd like it to be on the opposite side of the mug, this is available by special request. Color reproduction on mugs is not as accurate as on photographic prints. Mugs are very durable and are microwave and dishwasher-safe. Proof Delay: myPhotoWalk—SmugMug manages all orders to ensure high quality results. A Proof Delay protocol allows us to adjust the images in your order before the order processes or ships. Once we receive notice of your order, we review the details and adjust the settings to optimize the final result. If there are changes to be made, we will send an email to you with our suggestions for the final product to obtain your approval before sending the order to the lab for processing.